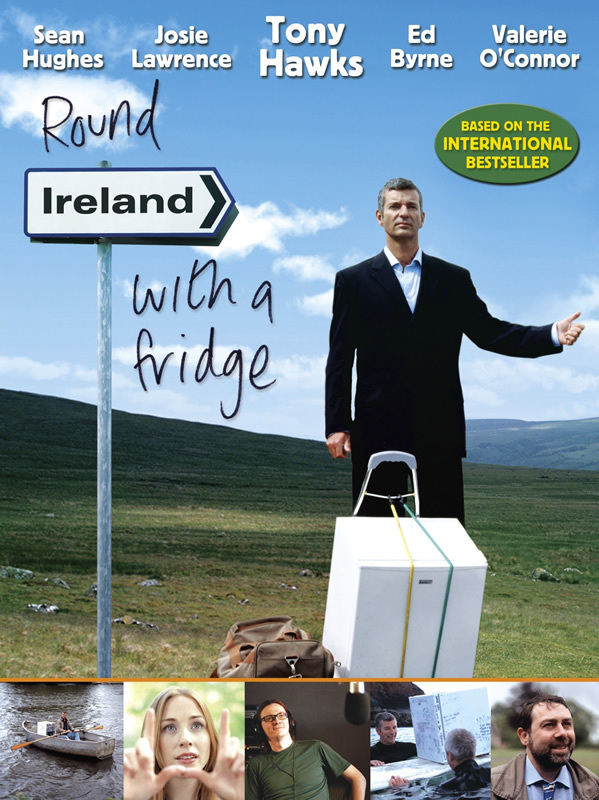 Tony Hawks’ new film, Round Ireland with a Fridge, was shown at the New Cut Arts Centre in Halesworth, in support of the World Land Trust (WLT). 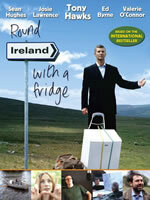 An inspiring British comedy-drama, Round Ireland with a Fridge is based on Tony’s best-selling book. It tells the story of a 'schoolboy bet' which resulted in Tony’s 1997 journey around Ireland as he re-evaluated his life and career, found romance, and met a wide range of bizarre characters. Tony has also recently finished filming Playing the Moldovans at Tennis, another true-story based on his subsequent best-selling book. To support WLT, Tony donates the Public Lending Rights of all his books through WLT’s Green Ink programme and often takes part in fundraising events. He talked to a packed house at The Cut which raised £1,100 for WLT’s conservation projects across the world. Tony first became involved in WLT’s work about 10 years ago and in 2008 went on a site visit to Paraguay with John Burton (WLT CEO), to discover more about what was being achieved with his donations. WLT is always keen to introduce supporters to our overseas project partners and see how they are directly helping to save some of the most threatened habitats and wildlife in the world. "Paraguay was fantastic", said Tony. "We had the chance to see different parts of the country, from the Dry Chaco to the Pantanal wetlands, and met the guys working on the ground there. I think these smaller countries are really up against it, whereas the bigger countries can flex their muscles a bit." He added: "I don’t know what it is, it’s hard to articulate, but there’s just a great atmosphere." 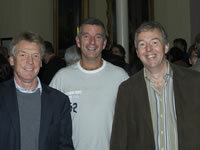 Tony was joined on the trip by two other committed WLT donors, Bob Finch and WLT council member Kevin Cox. 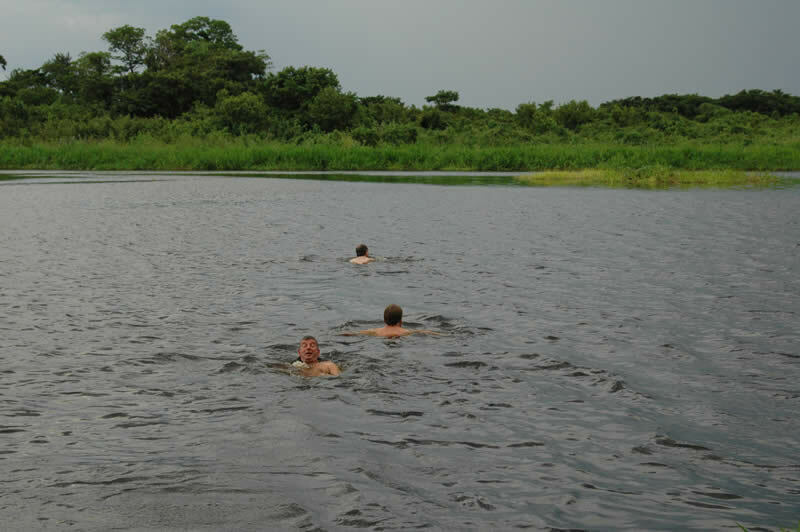 After a failed attempt to track down a Jaguar on horseback, some of the group decided to make their own entertainment and swam across the Rio Negra river to neighbouring Bolivia. 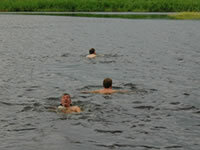 The group also went wildlife spotting up the river on a boat. That evening they went on a night-time river safari and found themselves surrounded by caiman. “I’d be less upset than Kevin [Cox] would if the ‘Lesser-spotted whatsit’ disappeared forever, because I didn’t even know there was a ‘Lesser-spotted whatsit’ and they’re probably nasty little things anyway”, laughed Tony. That’s not to say that he isn’t passionate about protecting the natural world. Tony believes that we have to stop growing economically, as it is not sustainable. So Tony got involved with WLT to help counteract human exploitation of natural resources? Not really; instead, a few drinks at an art gallery that was sponsoring the WLT and Tony’s impulsive nature did the rest. “It would be lovely if I could say something more inspirational than 'red wine drove me to it! '", laughed Tony, "but since getting involved, I genuinely see what the charity does and I just think that it’s a very good idea. Buying land to stop it being destroyed; once you’ve done that, there’s no better way of protecting animals." Tony has now been supporting WLT by donating all his income from Public Lending Rights for 10 years and continues to give generously of his time to WLT.